This project uses arts to inform and increase engagement of young people in Pakistan in public discourse about tolerance towards minorities, and respect for diversity. Local actor-activists will use storytelling and theatre to lead performances and discussions in schools, and young people will be supported to create their own creative outputs exploring these themes. Showcases of the young people’s work will facilitate advocacy with local, regional and national authorities to promote effective, responsive and accountable governance to protect minorities in Pakistan. Holding a 3-day minority rights and storytelling/theatre workshop for activists in Quetta. Conducting a mentoring programme by experienced minority activists and street theatre professionals, including from MRG’s Drama, Diversity and Development. Train local teachers on facilitating young people to use storytelling techniques in relation with minority rights. 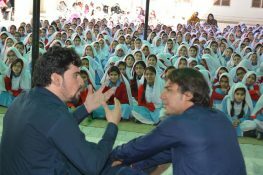 Establish “Bards of Peace” clubs in selected schools in Quetta where students learn about minority rights and develop skills to discuss minority issues via creative expressions. Develop original storytelling and theatre productions to be performed in local schools. Hold “Stories of Peace” festivals presenting young peoples’ work to the general public. Conduct advocacy meetings with local, regional and national authorities to improve governance for protection of minorities in Pakistan. STREET is a group of professional psychologists, anthropologists, researchers, community mobilizers, social workers, teachers, doctors, volunteers and supporters. 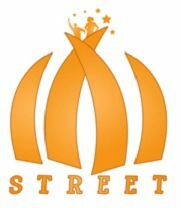 STREET is also an expert in interactive theatre training & performances. STREET is based in Quetta, Pakistan. HFO is a non-profit and non-governmental organization whose main goal is the promotion of religious freedom, social justice, equality, mutual understanding, tolerance and acceptance to promote human dignity. The organization advocates for religious freedom of conscience as proclaimed in Article 18 of the United Nations” Universal Declaration of Human Rights. HFO was formed in 1995 and registered since 2003. HFO is based in Lahore, Pakistan. This programme is funded by the Commonwealth Foundation.